Traditional DSLRs and big telephoto lenses have always been considered essential for high-quality bird photography. In the decade since Olympus and Panasonic first pioneered the Micro Four Thirds camera system, however, mirrorless technology has developed dramatically and recent advances have led to some high-profile defections away from DSLR systems. So what's all the fuss about? In short, mirrorless cameras offer many practical advantages. Unlike DSLRs, they lack a mirror box and pentaprism, instead utilising an electronic viewfinder and smaller sensor at the core of the system. This means they are generally smaller and lighter, as are their lenses – a huge bonus when you consider the bulk and weight of professional DSLR bodies and fast telephoto lenses. And the latest mirrorless models offer cutting-edge functionality, giving DSLRs a much closer run for their money. Olympus, in particular, is attracting increasing attention in this market. 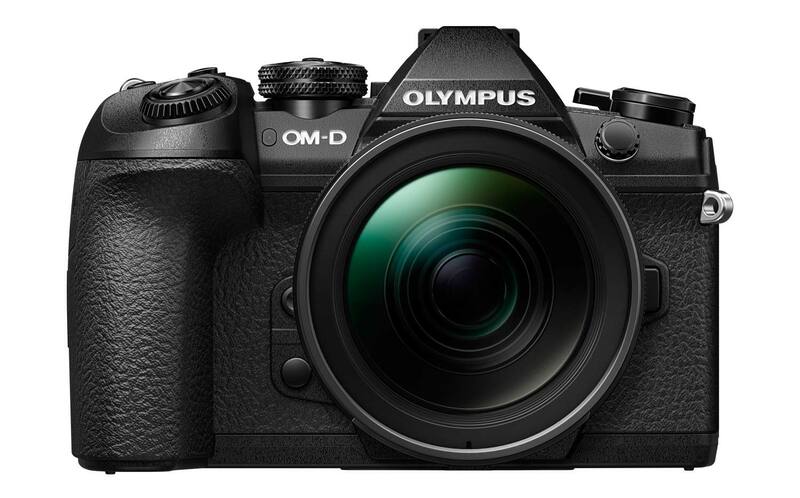 Its range-topping OM-D E-M1 Mark II body offers a huge range of features, compatibility with an impressive lens line-up, and a price tag that will make anyone who has splashed out on a quality DSLR body look twice. Impressed with images taken by others using this model, I tested it myself over several weeks. Having used DSLRs for more than 15 years I wondered how quickly I would take to the new system, but my first impression was immediately positive. The E-M1 II offered all the functionality, controls and ease of handling I wanted, but in a significantly more compact form. It doesn't feel like an inferior camera to a full-size DSLR, just lighter and more portable. The specification also impressed. The EM-1 II uses a new 20.4 MP Live MOS sensor and quad-core image processor. It can shoot at truly staggering speeds of up to 60 frames per second, even with RAW images, though in practice bird photographers will rarely want to burn through their memory cards at that rate. Its autofocus system is no less state of the art, utilising 121 cross-type phase detection focus points. Other technically sophisticated features include 4K movie recording, improved in-camera image stabilisation, a 50 MP High Res Shot facility, Silent Shutter mode and a novel Pro Capture function, which through half-depressing the shutter button captures up to 35 frames before non-stop shooting actually begins, effectively getting the exact frame wanted without any real-time lag. ISO ranges from Low to 25,600 and shutter speeds from 1/32,000 to 60 sec. The 3-inch vari-angle LCD screen has a resolution of 1037 K, and the card slots are dual SD. Olympus produces a large number of lenses for its mirrorless system cameras, branded under the M.Zuiko name and tiered into three ranges: M.Zuiko, M.Zuiko Premium and M.Zuiko Pro. The last is a professional-grade line-up that includes the M.Zuiko Digital ED 300 mm f4 IS Pro, and this was my lens of choice for the test period, often coupling it with the 1.4x teleconverter MC-14. Together they provide a focal length of 420 mm, but with the E-M1 II's 2x crop factor the effective focal length in 35 mm terms is a massive 840 mm – all in a far more compact and lighter-weight package than any DSLR can manage. It would probably take several weeks of protracted use in the field to gain complete familiarity with this camera, its menu systems and the full range of possibilities it offers. In a more condensed timescale I focused on its key features to photograph birds in a wide range of settings and weather conditions. Overall, the EM-1 II performed extremely well, and certainly exceeded my expectations. Handheld shooting was a breeze with the camera's image stabilisation and image quality was excellent, the lens and camera combination delivering pin-sharp results whether or not I used the 1.4x teleconverter. It took time to get used to the electronic viewfinder, which provides an undeniably different experience to a full-size DSLR. Not that the 2.36-million dot EVF of the OM-D EM-1 II is lacking in detail – quite the opposite, in fact. Other potential downsides on the camera body were conspicuous by their absence, and almost so on the 300 mm lens too, except that the sliding manual focus ring was too easily engaged accidentally. The review kit was supplied with two batteries, which proved essential as the fully charged lifetime of each one is just 440 images – at up to 60 fps it doesn't take too much intensive bird photography to drain the power right down. That said, recharge time is only two hours – it just means you have to keep on top of battery use and charging cycles. Downloading hundreds of test RAW image files also entailed a new learning curve with Olympus Viewer 3 processing software (version 2.4.1). It worked well enough but the interface is somewhat basic and in need of an update; I found myself using it only for basic RAW processing, and exporting the results to Photoshop for fine tuning. These very minor points aside, using the Olympus OM-D E-M1 Mark II was a revelation, and I can only see mirrorless system cameras strengthening their hold on the market as the technology continues to improve. Since finishing my testing of the E-M1 II, Olympus has already announced an even faster professional model, the E-M1 X, and in its 100th year it seems likely that more new releases will follow – watch this space for updates.